The verdict was unanimous. 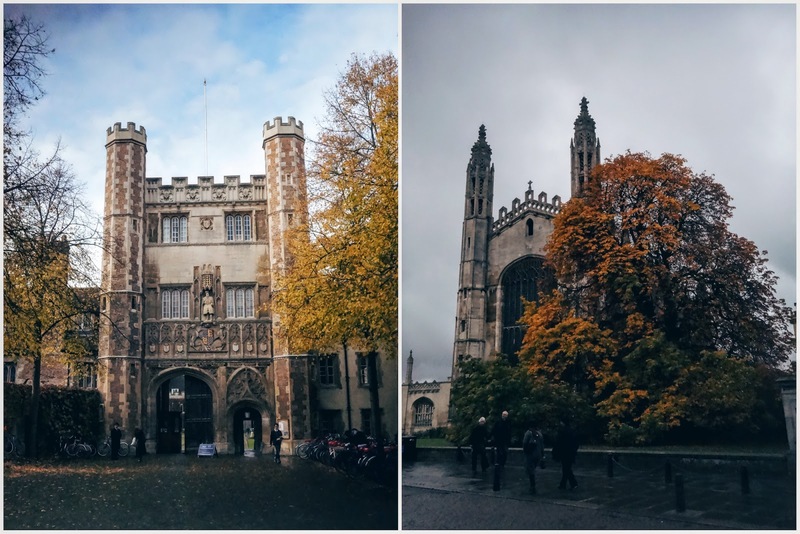 We had chosen the worst day to visit Cambridge. After a spell of Autumn sunshine, the skies had fallen to grey and a misty drizzle hung gloomily over the city. Nevertheless, we pulled on our coats, wrapped our scarves around our heads and strode out into the damp - we were there for one morning, and one morning only. We'd driven down from Exeter the night before and stopped in the famous city for the night. Our final destination was Southwold in Suffolk, where we were to spend the weekend with our wonderful friends, Lizzie and Haico. 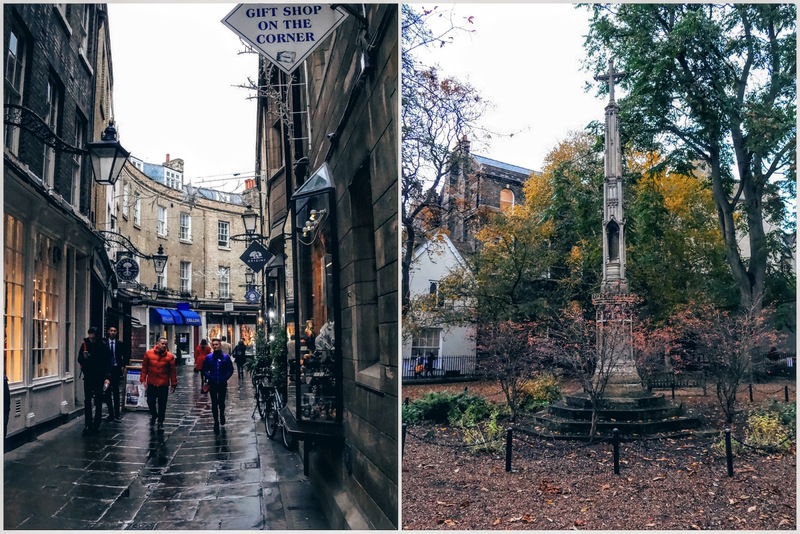 Before we made the final leg of our trip, we got to play at being tourists in one of England's most beautiful cities. We waved Lizzie off to work for the morning and set off into the rain. We stopped to have a wander around Sidney Sussex College and the beautiful, golden quads. I even got Michele to have a go at taking a few pictures of me for the blog - how exciting! I'm not particularly comfortable in front of the camera and much prefer gurning and messing around to smiling and trying to look pretty. But on the other hand, I've come to realise that my favourite blogs are those that have at least a few pictures of the writer every now and then, just so you know who's talking to you. But that's as far as we got for that day! I always wanted to go to Oxford and was absolutely devastated when I didn't get accepted after the interview stage. Admittedly, visiting the colleges of Cambridge brought back a bit of that wistfulness! Exeter's campus is beautiful but there's something about the heritage of Oxbridge and their college buildings that can't be found on our campus. 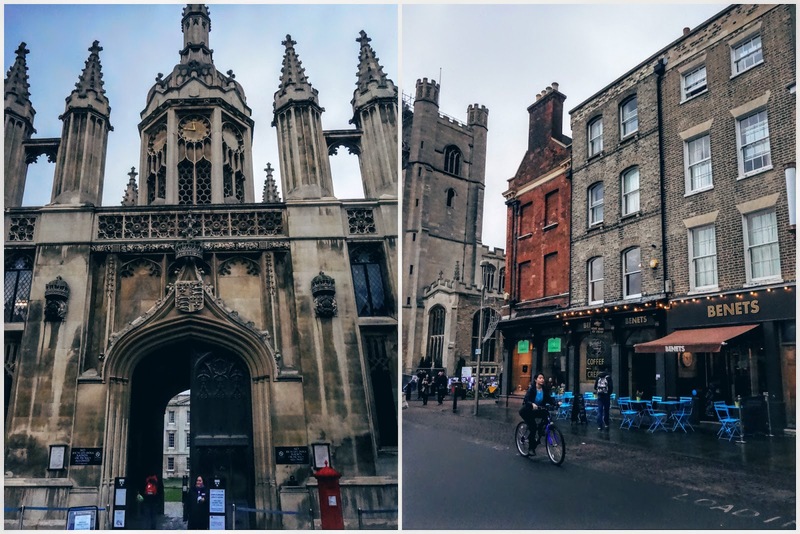 We met up with Haico, who had just flown in from Amsterdam and pretty much paced up and down in front of Kings College until it was an acceptable time for lunch. Kings is one of the most imposing buildings I've ever seen. I quite honestly cannot imagine studying there. The building itself would probably put the fear of exams and assignments into me before I'd even got into class. Scary! 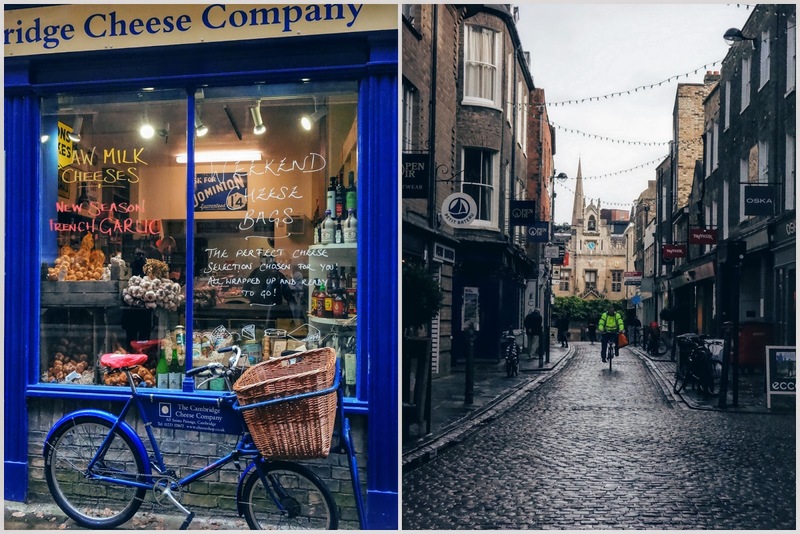 Before we submitted to the growls of our stomachs, we swung by the Cambridge Cheese Company to pick up some cheese for the weekend. 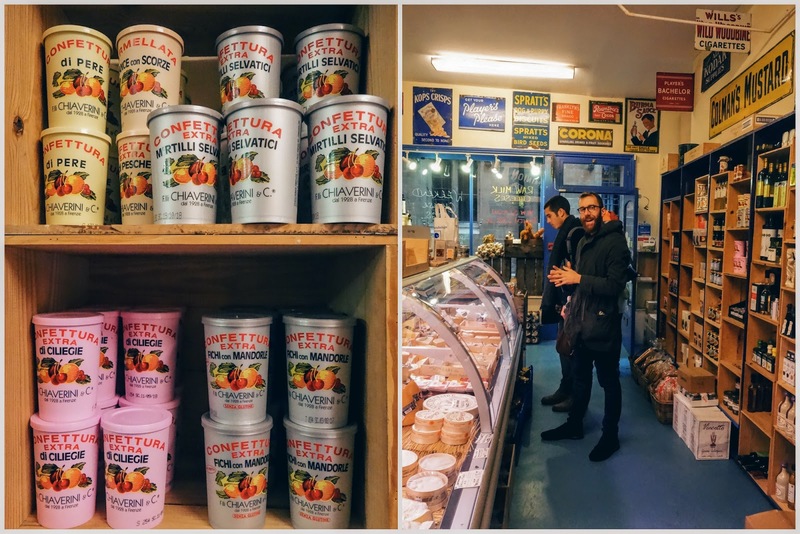 The shop is a cheese-lovers dream, resplendent with as many cheeses as you could ever hope to gorge upon and all the wonderful condiments and crackers you could wish for. We picked up one of their weekend cheese bags - it cost an eye-watering £25 but contained four large pieces of cheese that lasted six hungry cheese-lovers over two meals. The selection was also brilliant with one French soft cow's milk cheese that disappeared within minutes, a smoked manchego, a soft goats cheese and a nice, sturdy blue. By this point, it was finally midday! We met up with Vicky (who has just started her PhD at the British Antarctic Survey, the clever thing!) and Lizzie soon joined us for a delicious round of kebabs at Gardis. The food was great and so cheap to boot. I was halfway through my halloumi kebab (definitely recommend) when I was asking Michele to go downstairs and order me another one. 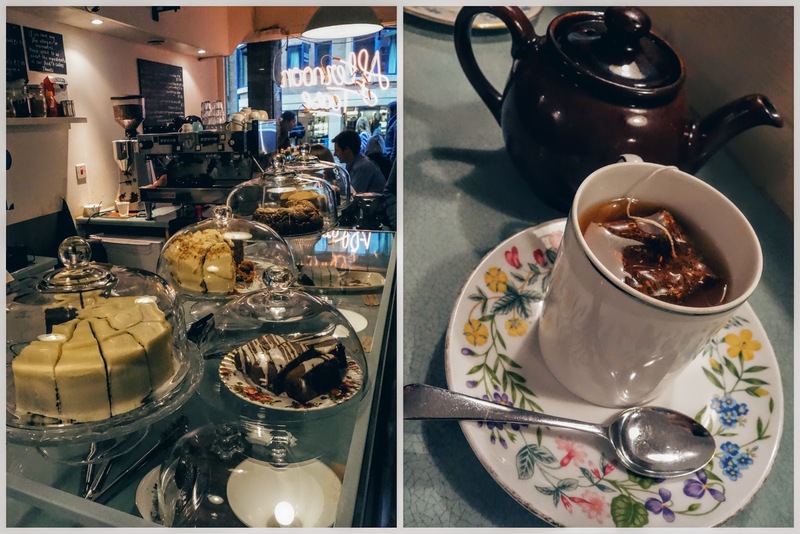 We went for the shortest of walks before deciding it was time for my food - this time, cake at Afternoon Tease, the cafe with the most instagrammable sign in Cambridge! Unfortunately when we arrived, the cafe was absolutely packed (a good sign in general, but a bad sign on a drizzly, cold day when sitting outside is a no-go!) After trying the chocolate brownie and the chocolate Guiness cake, I can see why it was so busy too. We squished around the bar area as much as possible and positively pounced on a table as soon as it became free! But he wasn't having any of it so just ended up with a beard full of cream cheese frosting - yum! And then it was time to pack into the car, bid farewell to Vicky and grab our suitcases ready for our next adventure in Southwold! A lovely day with lovely friends - one of the best things in life! 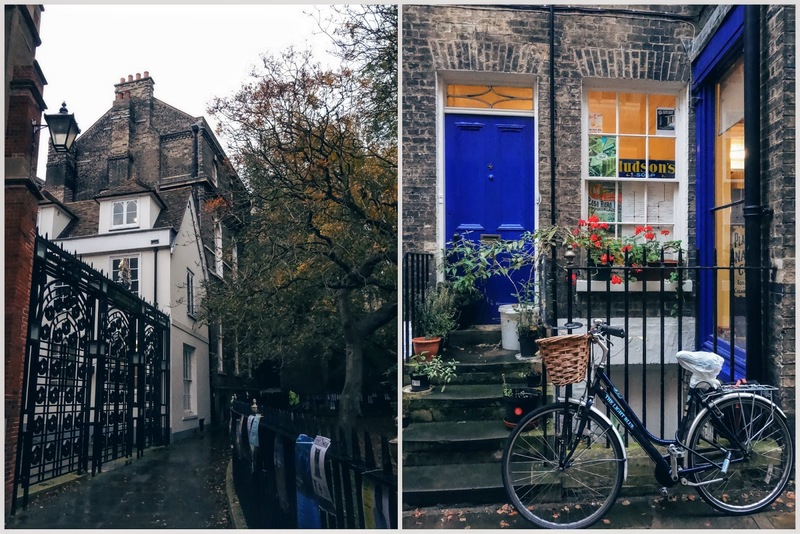 I love Cambridge, I used to live pretty close by, your pictures are so pretty, made me homesick! Such a beautiful place..especially in the Fall! I hope to be able to visit someday!! Oh my god, what a cosy town! So pretty! Never seen berries that purple by the way.